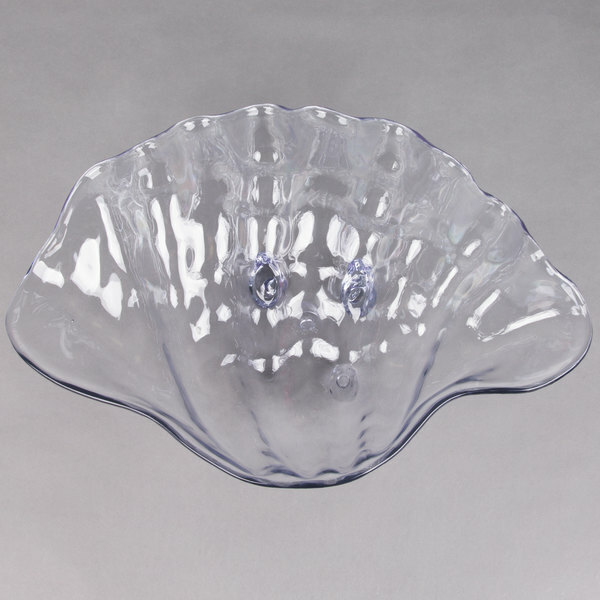 This Carlisle 034407 5 qt. 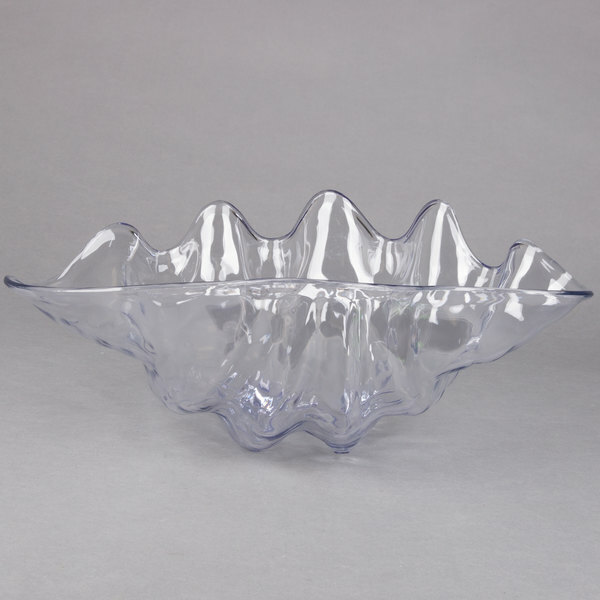 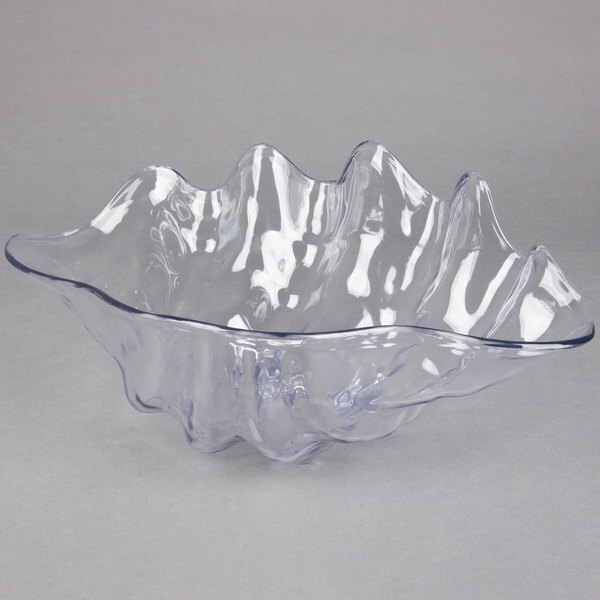 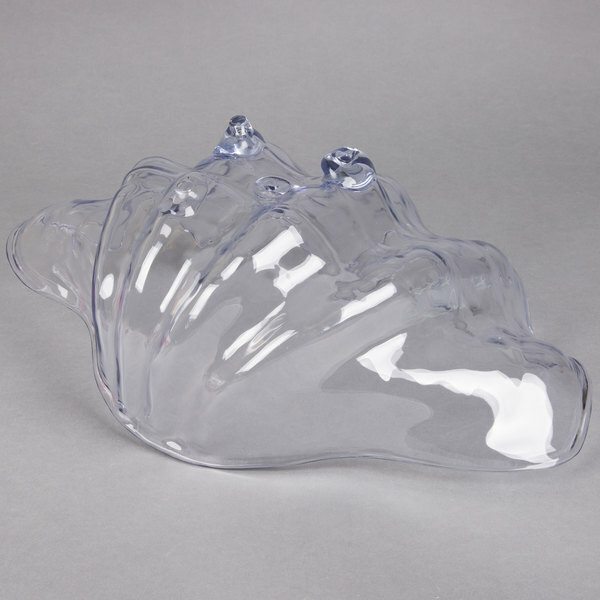 clear shell shaped plastic bowl is perfect for presenting salads, seafood, and appetizers at your buffet or salad bar! 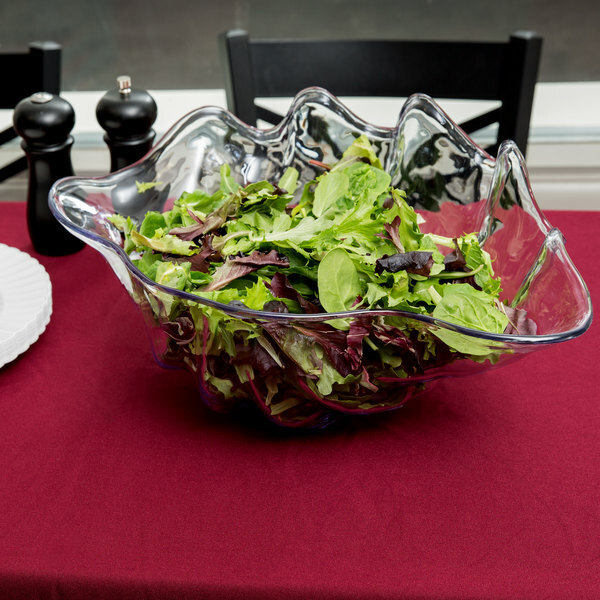 Thanks to its durable SAN plastic construction, this bowl is resistant to food oils and acids, so you'll never have to worry about marinara sauce or grease staining the interior. 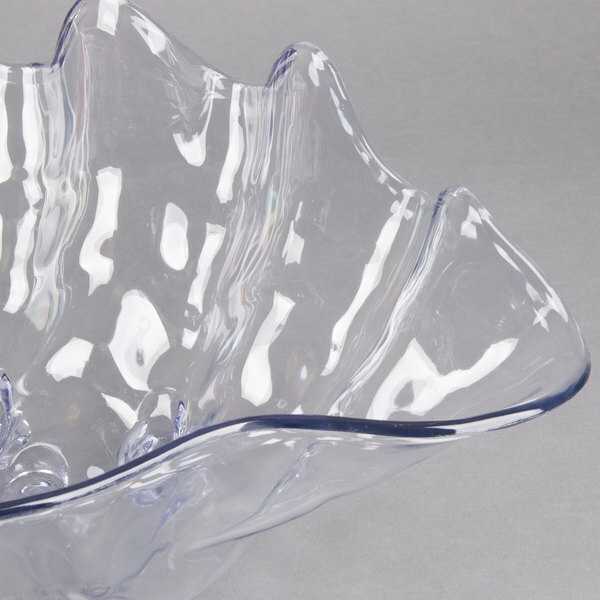 This bowl is made for use in temperatures of up to 180 degrees Fahrenheit.